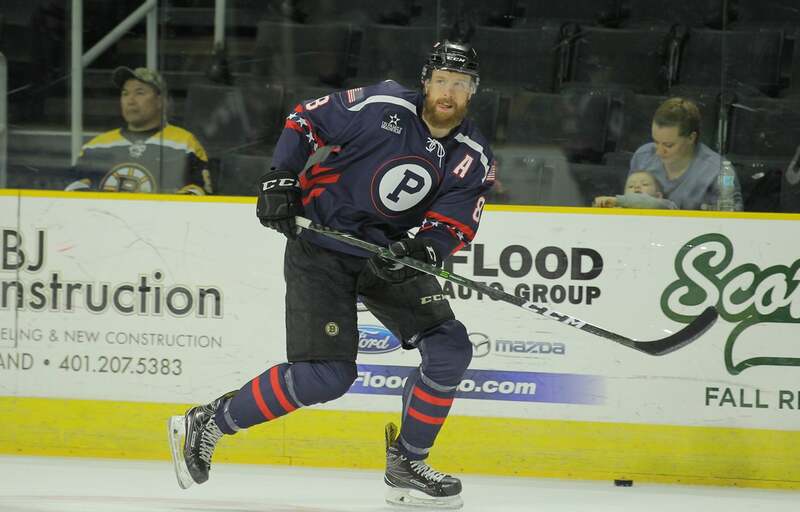 When Chris Breen signed with Providence in 2014, he immediately provided a veteran presence on the team’s blueline. A traditional stay-at-home no nonsense defenseman, Breen’s game is all about using his size and strength to keep opponents away from the net and stop their offensive chances. Breen doesn’t put up a ton of points but offense is secondary to his defensive efforts. That was on display in his first two years as despite averaging just 11 points he had a rating of +17 over those seasons. The 2016-17 season was a lost year for Breen as injuries took their toll on the 6-7, 224 lbs. defender. He played in just 37 games, scored just three points and had an even rating. However, he began to regain his form towards the end of the season into the playoffs and was hoping to ride that momentum into the 2017-18 season. 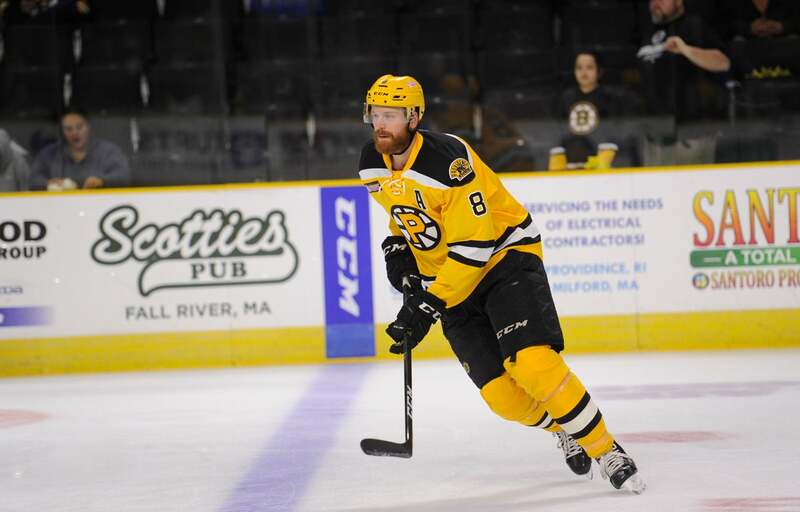 At the start of free agency in 2017 Breen re-signed with the P-Bruins for a fourth season to return as an alternate captain. He played alongside younger defensemen such as Connor Clifton and Emil Johansson as he provided a veteran for them to pair with and learn from. Breen also was a key member of the team’s penalty killing unit, as his style was a perfect for playing big minutes down a man. Breen didn’t light up the stat sheet point-wise, but he still put together a career season offensively. With a goal and 12 assists, his 13 points set a new personal best with December being his best month. He had a goal and four assists for five points, his most in any month during his Providence career. With injuries at the NHL level and Boston in need of depth, Breen’s play was rewarded on February 26 when the organization gave him an NHL deal for the rest of the season. After a successful season with Providence, Breen is expected to be back with the team for a fifth season in 2018-19. 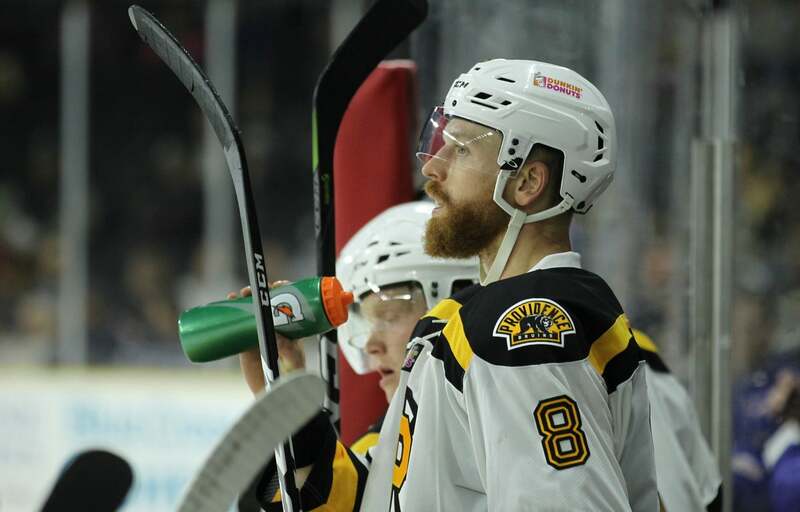 The veteran AHL d-man will likely serve the same role he has in years past as a source of leadership that can play on the penalty kill and keep opponents off the scoreboard.